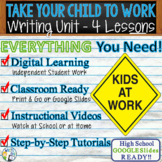 Do you have students in your room that are going to work with Mom or Dad for the day? this is the perfect form to use to have them record what happened during their "Day at the Office". This front and back journal entry page allows students to share their experience with the teacher and class following Take your child to work day! This is a one page observation sheet form to be filled out during the student's Take Your Child to Work Day experience. This five question form is a simple tool for students to complete if they participate in Take Your Child to Work Day. It helps keep the students focused on the reason for going to work with a parent or caregiver. This is the perfect, easy survey for children who won't be in school for "Take Your Child to Work Day." 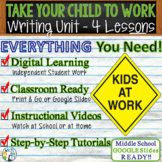 Looking for an assignment to make Take Your Child to Work Day more meaningful? Look no further! 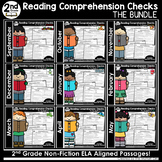 In this file you will find a writing prompt for students to complete who are participating on this exciting day. With this prompt, they will be sharing what they have learned while out in the work force. Do you have students that will be missing school for "Take Your Child To Work Day?" 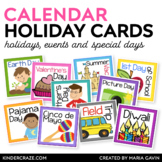 If so, send along this activity for the children to complete about their day at the office and to report back to the class with the next day. Students love to share and hear about each others day! 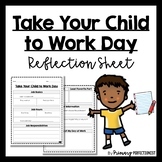 Take your child to work day activity sheet. This is a great way for the students to share their experience after attending their parents job. This is a simple journal designed for end of the year Kindergarten students to help them continue their learning even when they aren't in your classroom! 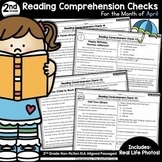 Included are directions, a parent letter, and a 5 page book (2 copies/page). This is a parent letter that notifies parents what Take your Child to Work Day is all about and how their child can benefit from this experience. It also lets them know that they need to fill out an educational trip form in the office 5 days before, so they are excused. To be used for students attending Take Your Child to Work Day. The assignment requires students to do a brief interview with their parents, document their activities and responsibilities on the day of their visit, and reflect on their experiences afterwards. This can be sent with your students who are going with their parent for "Take your child to work day." It allows them to engage in what their parent's job is and holds them accountable. This is an editable document!